Air Seychelles announces plans to return to Paris in February 2014, subject to regulatory approval. 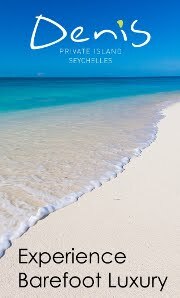 The National Airline of the Republic of Seychelles will operate two flights per week to Paris-Orly via Abu Dhabi with an Airbus A330-200 aircraft, configured with 18 flat-bed Business Class seats and 236 Economy seats. This was announced this afternoon by the Air Seychelles Chairman, Minister for Home Affairs and Transport, Joel Morgan in a special Press Conference held at the Airline’s Head Office. As part of its expansion plan Air Seychelles is also introducing an Airbus A319 which will operate on its regional network and fly to new destinations such as Antananarivo, Reunion and Mumbai in addition to its weekly services to Mauritius and Johannesburg. The expansion plan will also see an increase in services to Abu Dhabi from 7 to 11 flights per week offering daily services on that route.